I often refer to Texas as my adopted home state. My dad is from Nuevo Laredo, Mexico, which lies on the banks of the Rio Grande. Directly across the river is Laredo, Texas. The most common way to get to Laredo is via Interstate 35, which cuts right through Texas. Fun fact: If you drive from my hometown of Lincoln, Nebraska to Laredo, it's a virtual straight shot -- the only exception is one turn at an exit near York, Nebraska. Other than that, you just hop in the car, drive in a straight line for 15+ hours, and you're in Mexico. Kinda crazy, huh? Whether it was visiting family or accompanying my dad on business trips, I've spent a lot of time on I-35. I practically have that route memorized and I'm convinced that I could drive from Lincoln to Laredo half-asleep (although, for the record, I would never actually try this). I know all of the major -- and minor -- roadside attractions and mile markers. Once you get to Texas, you hit many of the state's major cities along I-35: Dallas/Ft. Worth, Waco (not exactly "major" in terms of population, but it's the home of Chip and Joanna Gaines, so that's good enough for me), Austin, San Antonio, and -- last but not least -- Laredo. Hopefully I'll get to write travel guides on those other places soon. But today's post is all about one of my favorite cities not just in Texas, but in the entire country: Austin. What do I love about Austin? Ugh, what do I not love about Austin? It's the vibes, man. Austin has really great vibes. I know that's super vague and probably doesn't tell you much, but if you've been there, you know what I mean. There's good food, good people, and really good music. And, on a more personal level, Austin just feels like a home away from home. Aside from all the time I spent traveling through Austin as a kid, I spent a summer interning there, and I often visited my brother when he lived there for several years. My connection to ATX runs deep, and I'm here to tell you about all there is to do, see, and eat! My most recent trip to Austin coincided with the famous South by Southwest festival. While most locals may loathe SXSW because it wreaks havoc and completely disrupts their daily lives, I can't lie: I love coming to South-by. I know that I'd probably feel differently if I lived in Austin. But whatever. I say go whenever you feel like it, because ATX is a great place to check out year-round (though it does get pretty humid in the summer, but that's what Barton Springs is for)! Rainey Street is quite possibly my favorite attraction in ATX. What used to be a sleepy residential neighborhood near Lady Bird Lake just ten years ago has since become a hot spot for what I like to call "chill nightlife." Sure, there are bars and loud music, but you can likely find a cozy corner to enjoy a cocktail and conversation without somebody screaming "JELLO SHOTS!" in your ear (which, for the record, would probably definitely happen on Sixth Street -- but more on that later). Whether you're looking for live music, infusion cuisine served from a food truck, or one hell of a craft cocktail, chances are you'll find all that and more along this magical street. Here are a couple places you should check out. A window at Half-Step is illuminated by the bar's mantra of "you earned it." Half Step's motto is "you earned it," and that is a message I can totally appreciate. I highly suggest sipping on a Floradora, a drink made of gin, lime, ginger, and raspberry syrup, while playing a round of ping pong in the bar's backyard area. Every week, their sausage makers crank out more than 2,000 lbs of sausage in 30 varieties, all by hand, right at the restaurant. And with 104 beers on draft and another 50 in cans and bottles, Banger's boasts the third largest draft system in the state of Texas. Whoa. I'm all about the andouille sausage and the German potato salad. Oh god, I'm salivating just thinking about it. Besides the food and beer, Banger's offers an excellent venue to catch a live show (or two). South Congress Avenue, otherwise known as SoCo, is the perfect place for people watching. You're bound to see plenty of unique sights and sounds on this stretch of road that features an array of eclectic shops, restaurants, boutiques, antiques, music venues, and galleries. My favorite part about South Congress is just getting to wander around and never knowing what -- or who -- you'll run into. It's also a photographer's dream because virtually everything is a picture waiting to be taken. You'll definitely want to come here if you're looking for inspiration. 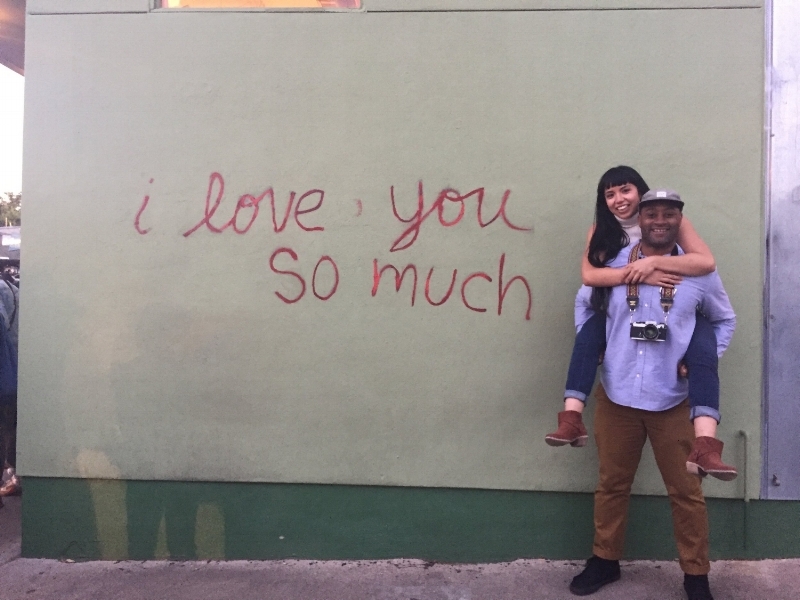 If you've never been to Austin but have friends who have visited, chances are high that they took a photo in front of the now-iconic "i love you so much" mural that's located on the side of Jo's Coffee. Be ready to wait your turn as it's (obviously) a popular photo taking spot. And if someone offers to take your picture, be sure to return the favor! :) Of course, there's more to Jo's than this mural. They really do have some great coffee. I suggest ordering cappuccinos and partaking in a little people watching on their spacious outdoor patio. Breakfast is served anytime, 24 hours a day, 7 days a week. Need I say more? You can't go wrong with any of the omelettes, although the pancakes and migas are also guaranteed to satisfy your hunger. Request seating in their quirky covered patio, and be sure to get an order of chips, queso, and salsa for the table -- ¡que delicioso! Perla's is one of my favorite spots in all of Austin. I remember my first visit to this seafood wonderland nearly six years ago, and it's still just as good as it was then. If the weather is nice, you'll definitely want to take advantage of their enormous outdoor patio. With its nautical-themed decor, string lights, and cushy furniture, you'll probably never want to leave. While you're there, be sure to order... well, order just about anything because it's all insanely delicious. The Oak Grilled Hawaiian Mahi-Mahi is a personal fave, and the housemade tartar sauce will change your life. Seriously: run -- don't walk -- to Perla's! Sixth Street, oh, dear Sixth Street. You crazy thing you. Let me start off by saying that once upon a time, Sixth Street was totally my scene. If you're a freshly turned 21-year-old with an indestructible liver and a quench for jello shots and mystery liquids that will make you do regrettable things, it's probably where you want to be. These days, I don't have the energy, stamina, or -- truthfully -- the desire for Sixth Street. But if you haven't been to Austin, it's worth checking out for the sheer entertainment value: Go on a Friday or Saturday night, and you'll likely see some hilarity ensue. Of course, Sixth Street isn't all madness and mayhem, as illustrated by these spots below. Although this unassuming French bistro isn't technically on Sixth Street, it's right around the corner, and you'd have no idea that it event exists if you weren't looking for it. Well trust me, you want to eat here. This lovely little gem serves up traditional French bistro in a semi-casual, Paris-inspired setting. We came here for our anniversary dinner, and it was tres magnifique. If you're hungry, I suggest going with the prix fixe menu for dinner. You get an appetizer, entree, and dessert for just $32.50, and the whole meal is quite filling. Delicious, divine, delectable doughnuts. What more could you want? We did the Airbnb thing, and in a place like Austin, there's no shortage of cool and unique Airbnb listings. We stayed a bit further from downtown than we would have liked, but bear in mind that prices are much more expensive during SXSW and Austin City Limits. 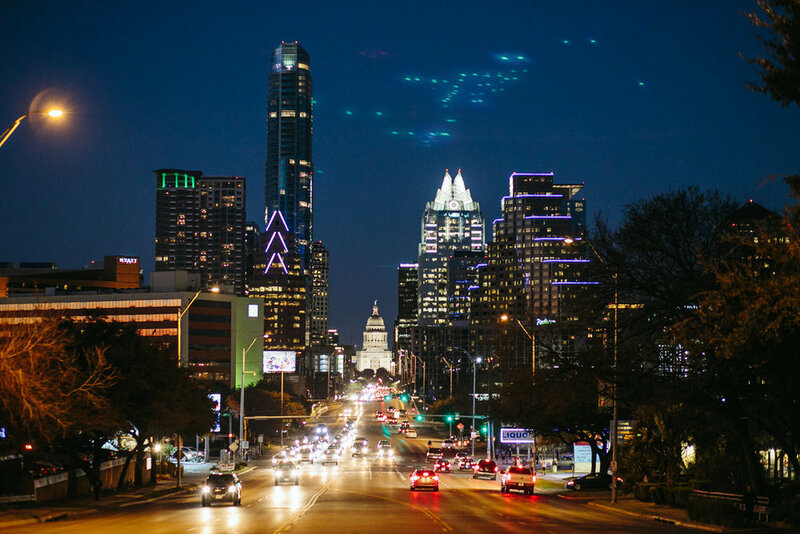 If you're more of a hotel person, some great (and centrally located) options include South Congress Hotel, Hotel San José, and The Westin Austin Downtown. If you've been to or live in Austin, let me know what I missed so I can be sure to check it out the next time I'm in town! And if you're planning a trip to the capital of the Lone Star State soon, I'd love to hear what's on your must-see list.